When you review job ads, you will often notice references to the qualifications for the position - or the job requirements. Those qualifications are deemed by the employer as essential to satisfactory performance in that job. They are the skills, experience, and attributes the employer wants to find in the candidate who is hired for the position. Job requirements may include specific skills, types and amounts of work experience, personal qualities, educational credentials, professional certifications, or areas of knowledge. Job postings also may state that some other skills, experience, or credentials are preferred, but not required. What do those requirements mean? It can be hard to figure out exactly what the company is looking for in a candidate. 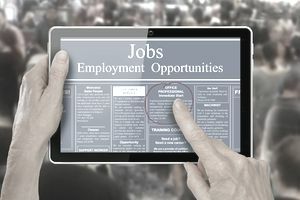 You'll find a lot of buzzwords in job postings, but what do they actually mean and what how do they translate to what the employer is looking for? Here's how to decode a job advertisement and a list of frequently used job search words and phrases with an explanation of what they mean. Experience requirements may involve types of experience where candidates apply specific skills, e.g. “extensive experience programming with PHP.” Experience requirements might include working with a specific population or in a specific industry or employment sector, e.g. counseling experience with battered or abused women, or advising experience in a college setting. Requirements might also mention a combination of skills and a knowledge base that the employer is seeking, e.g. application of mechanical engineering designs to power systems. Some positions will require applicants to have a certain level of education. For example, the job may require a high school diploma, a college degree, or a graduate degree. The employer will list the educational requirements for the job in the job posting. In some cases, related work experience, known as equivalent experience, may be substituted for some or all of the educational requirements. What do you do, though, if you don’t have all the educational requirements for a job? If your educational background is a close match for the job and if you have employment, volunteer, internship, or learning experiences that would support your application, it’s worth taking the time to apply. If it’s obviously a stretch – the job requires a Ph.D., for example, and you have an undergraduate degree – don’t waste the employer’s time or your own by applying.